This year’s biennial Maguire History Weekend, which takes place from Friday 11 May until Sunday 13 May, will be a celebration of all things Maguire and promises to be a real treat for those seeking to trace the story of the Maguire Chieftains of Fermanagh. 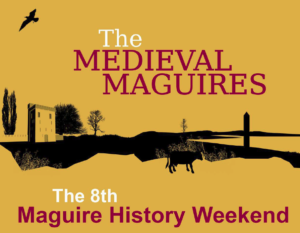 The weekend begins with a tour of the Maguire stronghold at Enniskillen Castle, originally built over 600 years ago for Hugh ‘The Hospitable’ Maguire, followed by a talk on the fascinating story of the five important Chalices associated with the Maguires. After lunch, there will be a guided visit to Devenish Island with its distinctive Round Tower. From the 6th century onwards, the Island became a place of great religious and spiritual importance as well as a burial place for a branch of the Maguire family. The evening event will begin at 6.30pm with a three-course evening meal at Enniskillen Castle inspired by a medieval banquet where diners will have the opportunity to meet Hugh ‘The Hospitable’ and other historical characters from Enniskillen Castle’s rich and varied past. Saturday 12 May begins with field trips to Sgiath Gabhra – the inauguration site of the Maguire chieftains of Fermanagh at Cornashee and the Maguire burial site at Aghalurcher Graveyard. This will be followed by a visit to Knockninny, site of an original Maguire stronghold. After a picnic lunch the visit continues to Monea Castle, built close the site of the first Castle constructed for Hugh ‘The Hospitable’ Maguire. Sunday’s activities will focus on Family History Research. Local genealogists, Frankie Roofe and Frank McHugh will be on hand to give one-to-one advice on the different resources available for researching Fermanagh family histories. For further information on the event or to book a place for all or part of the weekend activities, please contact Enniskillen Castle at 028 6632 5000 from Northern Ireland or 048 6632 5000 from Republic of Ireland. Charges apply. 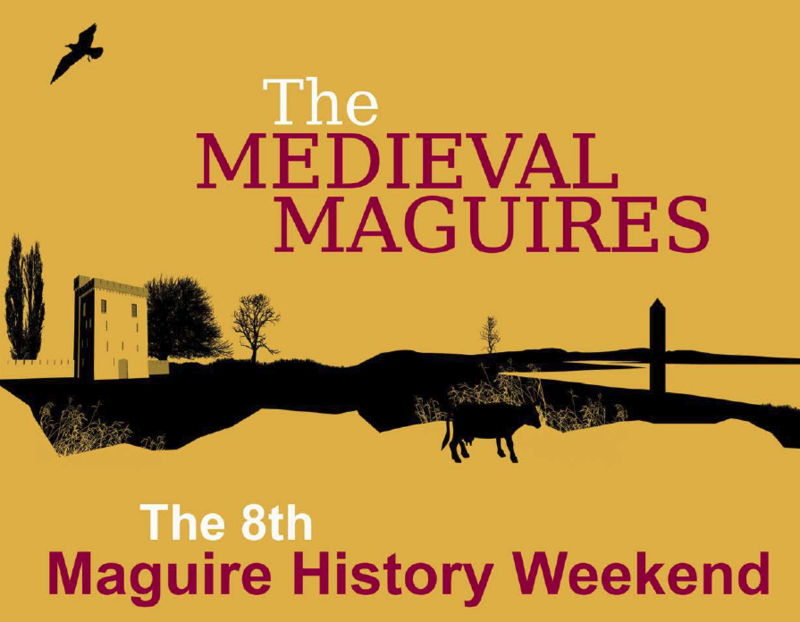 Click here to view the Maguire History Weekend Programme.